In a previous article I described how self-publishers can easily create, market and sell e-books. In this article we’ll discuss the differences and steps required to create more complex enhanced e-books and apps based on books. In a nutshell, an e-book is a digital snapshot of a book, an enhanced e-book adds multimedia and interactive features as interruptions to the linear story, and a book app is based on a book but acts more like a game with multiple pathways that require the user to interact instead of simply scrolling and clicking. Enhanced e-books are also referred to as rich media books, book mashups, enriched, hybrid and amplified books. The media and interactivity is provided by you, the self-publisher, who collects and integrates music, audio, video and color photo slideshows, news feeds, illustrations and background materials. You may also provide searchable text, tilt scrolling, internal and external links and Flash animations into the linear story. (Here are some video demos of these features.) To create an enhanced e-book requires the skills of a web developer. A book app can do everything an enhanced e-book does, but crosses the line from linear storytelling to non-linear storytelling, allowing the user to choose from multiple pathways and select from a potentially huge number of photos, videos, audio files, illustrations, hyperlinks, and interactivity. Apps are third-party software programs requiring a programmer with C++ or Apple’s Objective C programming skills. Much confusion arises from the fact that so many books are simply bundled as apps so they can be sold in an app store. In April 2010 there were twice as many e-books as games in the iPhone App Store, and it’s been posited by one pundit that Apple may purge such e-books as they have purged other overly simple apps. There seems to be little point to e-book app-wrapping when compared with more elegant, library-based e-book stores and their e-reader apps (the iBookstore download to the iBook e-reader app, for example), which gives customers a more consistent user experience and keeps the device desktop uncluttered. What makes a good enhanced e-book? 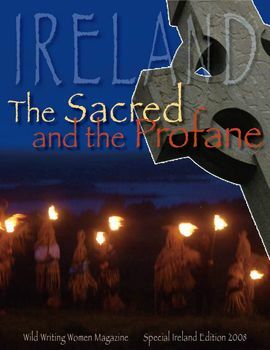 A few years ago I produced a multimedia e-zine, Ireland: The Sacred and the Profane. It was offered for download directly from the Wild Writing Women website until I recently found it easier to offer it via Scribd. Though most links, audio and video don’t work inside their browser-based reader (they tell me they’re working on that), they perform nicely when you download the PDF. The magazine was very time-consuming to produce, but incredibly rewarding and the enhancements offered readers extra value. 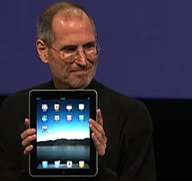 The iPad’s capabilities quickly made it the enhanced e-book platform of choice. Designers can create endlessly entertaining distractions within a linear story. The “amplified edition” of Ken Follette’s Pillars of the Earth promises a huge cache of multimedia, an interactive character tree, video and still images from the Starz television series, the author’s multimedia diary with his impressions of bringing the book to the screen, interviews with the actors, director and producers, and music from the series. How much does this cost in terms of time and money? It took me months to create the Ireland magazine working in InDesign and with my group who painstakingly reviewed and edited every iteration. It would have been a huge project even without the learning curve, so when Collingridge quoted $8,000 to $15,000 for enhanced e-book production, that sounded about right. Portable Document Format (PDF) is for very highly-formatted publications and can be read on many devices. Readers are forced to view the book exactly as it was designed, which, while it offers design stability, means users cannot reflow the text or change font sizes or colors. International Digital Publishing Forum’s Open eBook standard (EPUB) is a versatile winner. It’s the format used by Apple iPad, Sony’s reader, the Nook, and many other vendors. An export feature in the InDesign page layout program (on which your original print book was likely designed) lets you output an EPUB file. The results are not perfect, but they’re getting there. Microsoft’s XPS platform is used by the new Barnes & Noble Blio software platform. They hype their enhanced e-book features and seamless integration with Quark a la the InDesign-to-EPUB export. Amazon’s Kindle/Mobipocket (mobi/azw) format is great for e-books but not a good choice for enhanced e-books because it does not display color or video. Yes, the relationship between hardware devices, software platforms and formats is complicated, especially with Google Editions and Copia entering the game this year along with the Blio, and there are rumors that RIM is planning an iPad competitor. When you’ve got so much material that linear is no longer practical, then it might be time to consider an app as an add-on product to your book. (The fuzzy boundary between enhanced e-books and apps are discussed in the Digital Book World webcast eBooks vs Apps: The Pros, Cons and Possibilities). To start the process, you’ll first need to have a deep discussion about multimedia, formats, platforms and devices with the team you hire to do the work. “Book-based apps are more likely to be ancillary products with complex graphics and page layouts that can’t be handled in something that auto-flows,” says Michel Kripalani, founder of Oceanhouse Media (OM). “That’s where you cross the line into the need for custom code.” Kripalani assembled a team of former interactive CD-ROM and game developers to start his business, and has built over 100 since the company was founded in January 2009. “Children’s books are especially ripe for apps, and compliment the e-book edition,” noted Kripalani in an interview with Book Business Magazine. OM has also created a variety of card decks, calendars, and spoken word apps inspired by books from Hay House and Chronicle Books. For the budget-impaired, DIY app builders are emerging. Travel guidebook publishers already know their audience is looking online and to apps instead of to the paper book. For them, Sutro Media has created a browser-based tool to let publishers upload material to a content management system, which then gets ported into Objective C on the back end. Co-founder Kevin Collins says, “these apps do things that books can’t possibly do. Sutro does not require the author pay any up-front costs, but they carefully evaluate proposed projects. Their payment model is a revenue-sharing agreement with a royalty split of 30% each going to Sutro, Apple, and the author, with the remaining 10% going to their in-house editor. Once you’ve created your enhanced e-book or app, how do you get it distributed to e-tailers and to readers? Author Cory Doctorow has long and publicly wrestled with these issues, and has had only spotty success with distribution and sales via the major channels. Digital Rights Management (DRM) has been particularly problematic, as some e-tailers require it. The enhanced e-book and app space is still all very experimental, but expect industry standards to emerge and the market to adjust to the technical possibilities. Apple is letting self-publishers upload directly to the iPad, as long as they adhere to very strict formatting rules. Personally, I’m offering enhanced e-books on my own websites and on Scribd, amassing digital assets, paying for InDesign upgrades, studying EPUB, renewing my SPAN membership, and keeping an eye on Mark Coker and Smashwords for an easier enhanced e-book aggregation solution for self-publishers. Carla King is an author, a publishing and social media strategist, and co-founder of the Self-Publishing Boot Camp program providing books, lectures and workshops for prospective self-publishers. She has self-published non-fiction travel and how-to books since 1994 and has worked in multimedia since 1996. Her series of dispatches from motorcycle misadventures around the world are available as print books, e-books and as diaries on her website. That’s one thing the Kindle is missing and it’s the ability to have enhanced features. However the best feature of the Kindle is the e-ink and the free 3G for downloading books. Other e-book platforms don’t have that. I’m sure in the future when technology catches up, the Kindle will be able to display enhanced features. Carla, great post, and great topic. I’ve been tracking these developments for our eBook publishing service “BookBrewer” (now in alpha), and I’ve noticed some traction in the video book space. You can find a lot of them the Apple app store by searching under “Vook”. Do you know if Apple is working on allowing video books into the iBooks store? Seems like a natural, although the ePub format doesn’t support video yet. I would imagine Apple could convince the ePub standards body to add support for video. 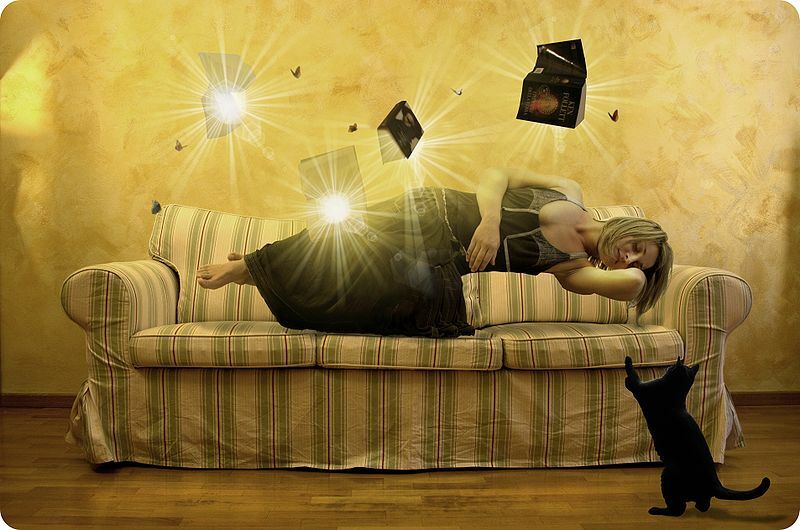 Great post, especially to learn that you’ve grappled and succeeded with enhancing e-books. I tried something a little different, merging multimedia with text for a new online fictional reading experience at http://www.unnaturalstates.com. It was time-consuming, costly and challenging but mostly a gas! Hope to see a lot more enhanced ‘reads’.